Styled with jaelyn pant . 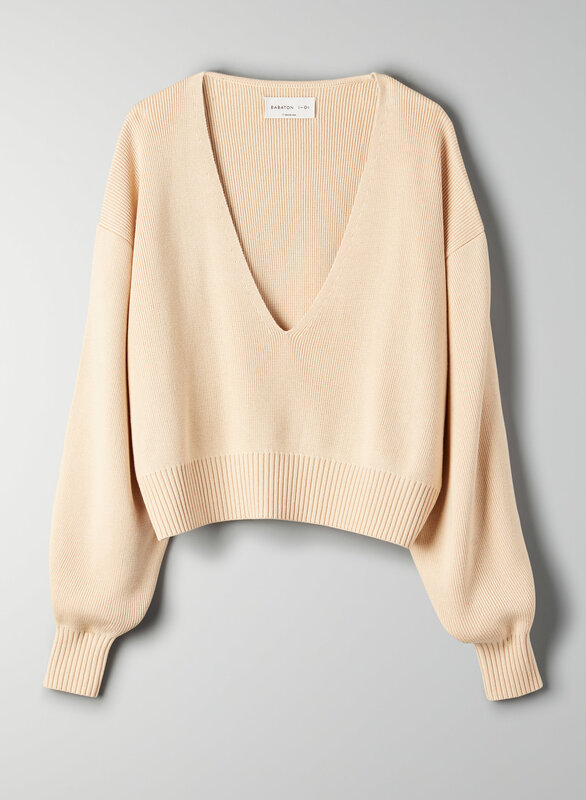 This is a cropped sweater with a deep V-neck and voluminous sleeves. It's made with a soft, lightweight, silk modal-blend fabric.